Your special CHARM IT! 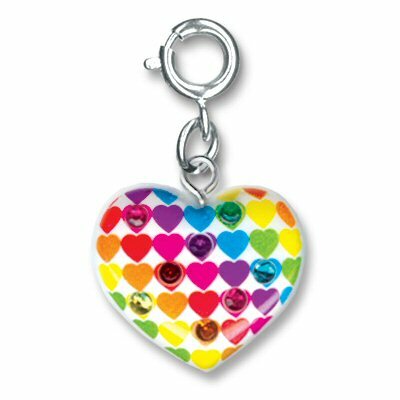 girl will love your show of affection with this colorful CHARM IT! Heart to Heart charm. Featuring rows and rows of hearts with sparkly acrylic stones in a rainbow of colors, she'll always be reminded of your love for her. With a simple snap of a clasp, you can add a splash of personality and color to your charm bracelets and jewelry with this CHARM IT! Heart to Heart charm.